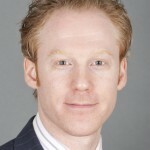 Employer insolvency: What lessons are there from Jaeger’s woes? Jaeger’s problems are the latest warning for employers to know their duties to staff in cases of employer insolvency. Chris Weaver offers practical tips. 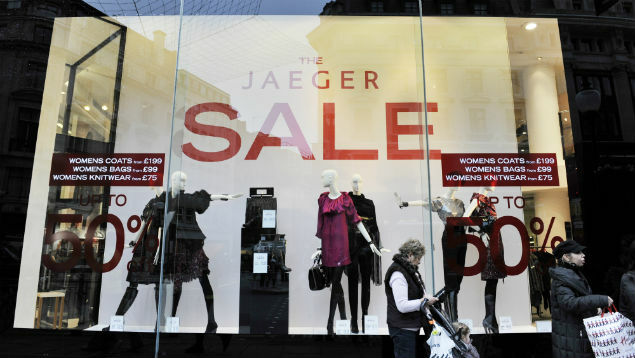 Fashion chain Jaeger going into administration marks yet another high-street retailer finding itself in financial difficulties. So what then are the responsibilities of employers to their workforce when their business is facing insolvency? Once a company’s directors know, or ought to have realised, that there is no reasonable prospect of the company avoiding insolvency, they have a duty to minimise losses to creditors. A failure to do so can lead to personal liability for wrongful trading. In such circumstances, directors must take steps to place the company into a formal insolvency procedure to avoid the company incurring any further liabilities that it might not be able to meet in full. Administration is the most common insolvency procedure. It is designed to promote rescue of the company as a going concern or efficient realisation of assets. During administration a company is protected by a “statutory moratorium” – ie an automatic “stay” on legal proceedings against the company. In most cases, administration leads to the sale of a company’s assets to a third party buyer. Because the administrator is the agent of the company, their appointment does not amount to a change of employer and employment contracts do not automatically terminate. Instead, the administrator has a 14-day window in which to decide which employees the business needs and can afford. The administrator will then “adopt” any such employees’ employment contracts. What duties do companies have to employees during employer insolvency? Employees whose employment contracts have not been adopted will face redundancy. Employers in administration are still required to consult with employees before making redundancies. If more than 20 employees are to be made redundant in a period of 90 days or less then collective redundancy consultation obligations will also apply. Employers are under a legal obligation to give the Government advance notice of proposed collective redundancies and collective consultation with employee representatives must last for prescribed minimum periods before dismissals take effect. A failure to notify the Government is a criminal offence for which a company’s directors can face prosecution and personal liability to an unlimited fine. If a company fails to adhere to the minimum collective consultation periods, affected employees can claim a “protective award” of up to 90 days’ actual gross pay. protective awards for failure to inform and consult under transfer of undertakings law (TUPE) or in relation to collective redundancies. Certain debts owed to employees rank as a preferential debt in the insolvency. However, the majority of debts owed to employees are unsecured and rank second to last in order of priority on a realisation of assets. Unsecured creditors share equally any available assets of the company in proportion to the debts due to them. In practice, this is likely to yield, at best, a few pence for every pound the company owes them. Employees are entitled to claim certain limited amounts of what they are owed from the National Insurance Fund (NIF) operated by the Government. Once an employee has been paid out of the NIF their claim to that amount against the insolvent employer is extinguished. If the whole of the employee’s claim cannot be paid out of the NIF, the employee will retain the right as a creditor to claim the balance against the insolvent employer in the insolvency. Where the administrator is able to sell the insolvent company’s assets to a third party buyer TUPE is likely to apply. Obligations on an employer to inform and consult with representatives of affected employees also arise prior to a TUPE transfer, in particular where “measures” such as redundancies or changes to terms are envisaged. A failure to comply with the duty to inform and consult under TUPE will entitle affected employees to claim a protective award of up to 13 weeks’ pay. Where there is a TUPE transfer from a business in administration, the buyer will not inherit all of the insolvent company’s debts. Certain debts will be payable by the NIF and only debts which fall outside the statutory scheme or which exceed the statutory limits will pass to the buyer. In addition, there is greater scope to vary the terms of employment of transferring employees than is normally the case in TUPE transfers. The administrator and buyer are able to agree certain changes to terms with employee representatives where the intention of the changes is to ensure the survival of the business. Corporate insolvencies are challenging times, not only for employees, but also employers. As briefly outlined in this article, employers face a range of responsibilities and considerations. They cannot simply ignore a worsening financial situation. In order to minimise the risk of personal liability and to maximise the chances of saving the business, it is essential appropriate professional advice is sought at an early stage.